Today (and this week) the main event is Mercury’s move into direct motion. 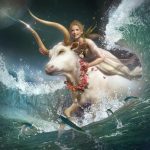 Since April 9th Mercury’s been retrograding – first back through the sign of Taurus, over mental sticking points, then back through Aries and a review of a tendency to say things that are instinctively or impulsively driven. Today that cycle of reconsideration and review is over. We may have come to some conclusions, or feel that we have enough information to make decisions, to move in a new direction, or to feel confident that our original thoughts and impulses were valid. Going forward, getting from point A to point B may be easier as communication starts to flow. Mercury is currently sandwiched between Eris (the goddess of discord) and Uranus (the wild card). What is said or what is decided may provoke resistance, initiate conflict, or otherwise create profound implications for the future. The truth may finally be acknowledged as the tables are turned. Taking power back may be part of the emerging picture. 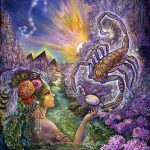 A progressively intensifying influence is the May 10th Scorpio full Moon event. Changing moods, dark moods, and the inclination to become more easily upset, annoyed, or thrown off by changing relationships with women, is a possibility. 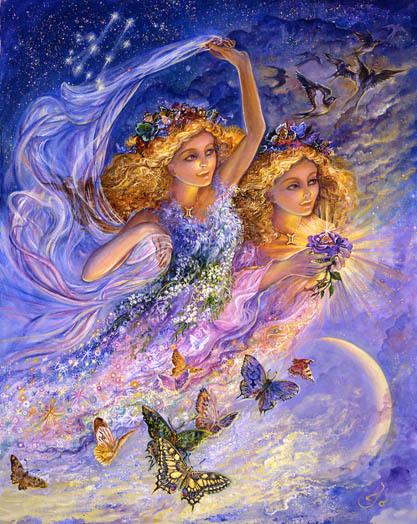 Even though Mercury is now direct, it’s important to continue to evaluate the nature of future plans. Are they realistic or do they need to be adjusted to take the truth or emerging facts into consideration. This week experiencing the consequences of nurturing false hopes is a possibility. “One-sided reveling in love” is particularly susceptible to the manifestation of disappointing outcomes. As the weekend approaches we may be required to act quickly to adjust to new circumstances. 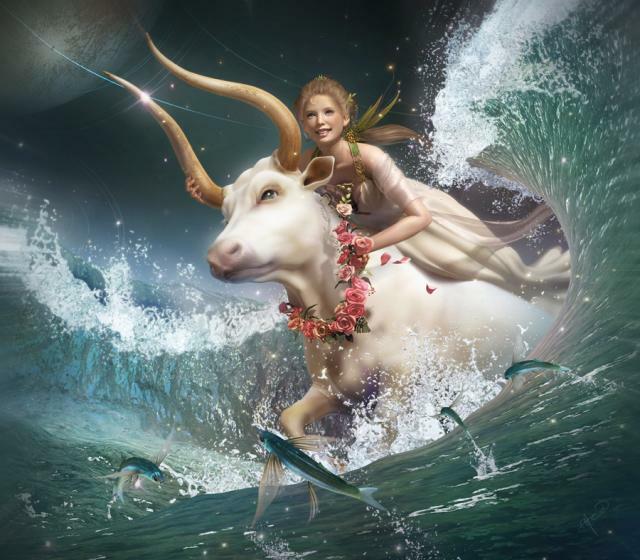 Venus in Aries makes “powers of attraction” very strong this week. Communication is enhanced in ways that allow you to easily talk your way into favorable situations and out of unfavorable ones. Powers of persuasion are heightened. This week the impressions you leave behind tends to be an enticing mixture of strength, confidence, and courage. 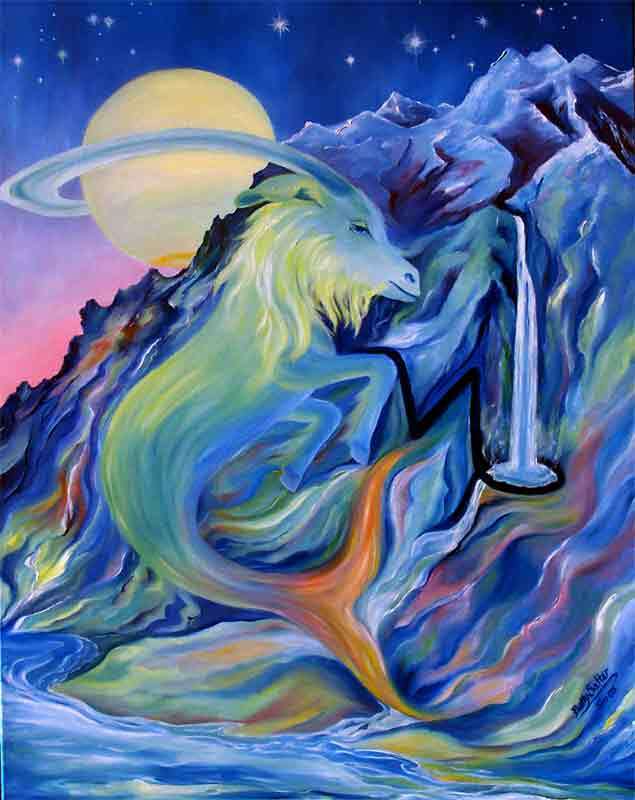 Pluto, (transformation) and Juno (asteroid of commitment and marriage) align in the sign of Capricorn. It may be time to consider overthrowing a long term commitment to another – to a specific life direction, career, future plan, or way of being. Old commitments may have become toxic or undermining. 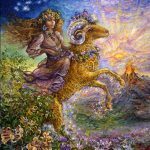 The challenge to release what you’ve been deeply committed to, especially as a Scorpio full Moon approaches, may be an underlying theme. 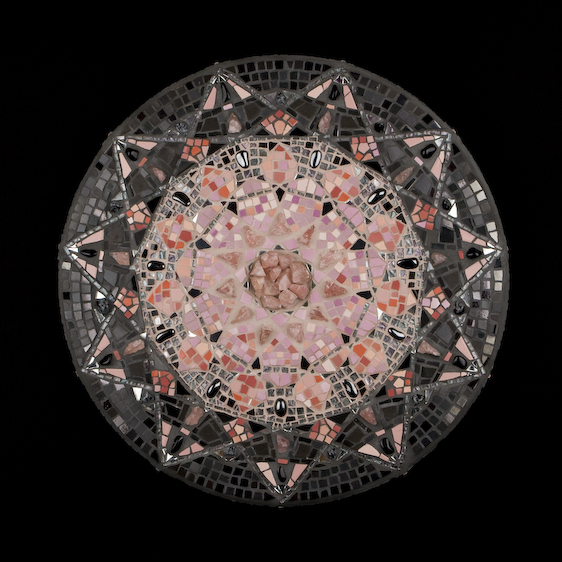 This week marks the end of an 18 month nodal phase of releasing guilt, shame, and perfectionistic leanings. Healing through some form of purification has taken center stage. Enhancing skills and increasing competency through hard work and the elimination of bad habits was emphasized. Becoming more discriminating, efficient, and focused on detail was encouraged. Most likely you’ve honed yourself into someone more useful and more capable of providing valuable, reliable service than you were 18 months ago. Maybe you’ve changed jobs as you released the need to operate under punishing circumstances. 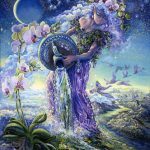 Time to tie up any loose ends that remain before a new a new nodal phase is introduced – May 10th – the day of the full Moon. It seems the finishing touches will entail ending something that’s difficult to end. Let’s just agree that you’re courage, confidence, and adventurous spirit is making you irresistible. You have a way with words. Even when you communicate very directly, presenting the unvarnished truth with no filters to soften the blow, others feel supported and loved in your presence. It’s true that now you may have plenty of harsh truths to tell. Eris may have you sowing discord and Uranus may have you shocking others into submission. Let’s just say if there was ever a time you could get away with this, it’s now. But there may be a method to your madness. 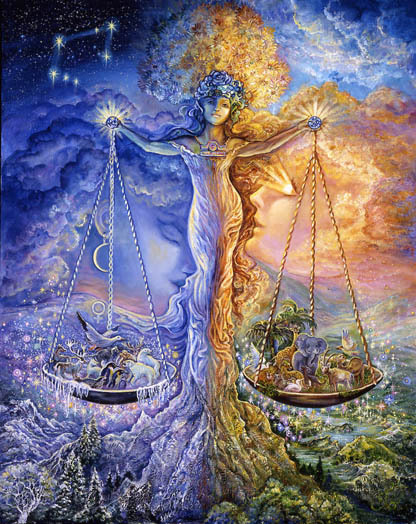 Balancing the scales or removing distortions that prevent new, more vital and interesting beginnings from emerging may be the point. For many months you’ve done the work and applied the self-discipline required to make needed improvements and to get through it. You’re on the cusp of something more fun, more creative, and more loving. The world is on the verge of revolving around you for the next year and a half. Your most off-beat, rule-breaking, freedom-loving tendencies usher you in. Like-minded friends encourage you to keep moving into this most promising new directions. This week you may sense you’re on the home stretch. An intense period of hard work, self-discipline, doing what had to be done, and making the effort to heal, required self-sacrifice, overcoming invisible impediments, and the ability to persist and remain focused through disheartening times. 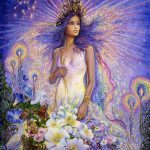 It seems you are on the cusp of coming back home to yourself after awhile of “wandering around in the wilderness.” Organically and instinctively you’re winding your way back to the source of your joy. 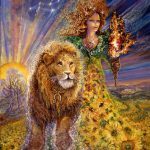 That may involve the love of family, abundant support for a new life direction, and more confidence in the reliability of your source of inner strength. 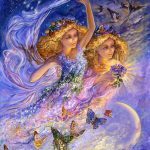 Venus connects you this week with powerful invisible support. Mercury direct lets you know that momentum is building in the direction of a conclusion. Easier, more loving approaches to life are gestating beneath the surface. Tune in, relax, and savor this magic. This week you may need to cleverly think your way through some dark opposition. You may need to confront something directly, to name the source of darkness that steals your optimism, undermines your ability to cooperate, and reflects back to you some disappointing or worrisome possibility. Mercury has turned direct. It’s time to move through powerlessness, resentment, and uncertainty. It’s time to honor the fact that your passion lies in your ability to be creatively communicative, to resist being coerced by fear, or other people’s formulas, and to embrace your ability to lead in a futuristic, alternative direction. You’ve done the required work building a strong foundation. The question is can you follow your instincts in the direction of where you must even if those lead you into precarious territory. Can you be courageous, take some chances, and set your imagination on fire, while introducing something new and different to the world? Turn your current thinking upside down and be persistent. A new beginning is about two weeks away. I suspect you’ve worked hard over the past 18 months learning new things, disciplining your mind, expanding artistic horizons, honing your communication skills, and organizing your life in ways that increase the likelihood of professional success. Expect good news on that front. Your powers of persuasion are excellent this week. Your ability to create an exceedingly positive impression, to be admired or rewarded for something professionally courageous, or for re-imagining something that others assumed was “set in stone,” is heightened. Find ways to cooperate. Avoid feeding into any professional discord or ugly competitiveness while assuming more power and control. Burn any remnants of a desire to undermine your future through dissolution or evasiveness. Enact a ritual that symbolizes and empowers your desire to continue to move forward in a positive direction. You’re on the cusp of a challenge to figure out how to brilliantly manage your abundance of innate talent. 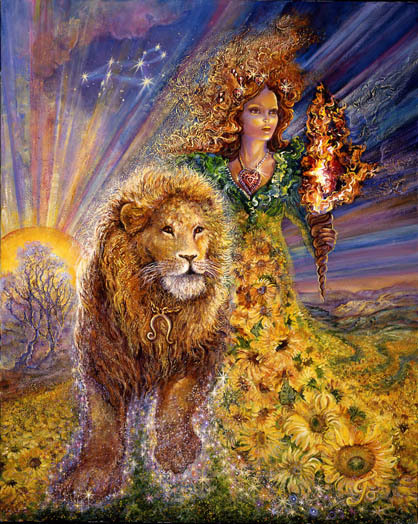 Perhaps a creative partner will be sought..
Leo may be feeling more passion for his natural, organically unfolding style and approach to life. It seems others may be taking notice. It seems a higher profile may feel fitting and right in some fundamental or soulful way. You were born to be a dignified leader. Your current challenge may be to clarify some murky communication or dark motivation – to confront it directly, to overpower it, and to lead with great style in a healthier direction. You may be finding your way as you navigate the intricacies of established organizations, groups, and governmental agencies. A heart-felt cause may be taking the shape of something sacred that is currently under threat – something fundamental and irreplaceable. Your current mission may be a heroic one. Stay above the fray. You’re approaching a level of mastery that makes it very hard to destabilize you. You can afford to stay classy when others choose the low road. It’s important to win but its more important to stay true to yourself and your most natural way of being. That’s a game you must win. Mercury is now moving forward. You may be feeling new momentum building. Something stuck has been dislodged. A period of reflection has ended. There is something that needs to be communicated or a piece of information that needs to be acknowledged regarding joint financial matters or death. 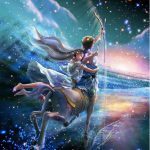 You may be moving through a period of uncertainty, powerlessness, and financial discord. There’s light at the end of this tunnel as something new begins to take shape. You’re approaching the end of a period of dissolution within relationships. Over the past 18 months it seems you’ve been relieved of some old responsibilities – or maybe you’re about to be. You’ve done the necessary work involving a change in your approach to life. You’ve refined your skills, faced your fears, started something new, gained more strength, confidence, and independence. You’ve prepared yourself for a new kind of relationship role. Over the next 18 months your focus is cultivating your spiritual gifts – possibly through an unusually enlightened practice or mystifying method. It’s time to let go of the last remnant of an old, undermining approach. 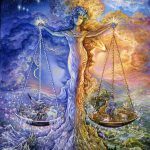 Libra may be feeling the need to confront some dark energy that appears to be operating with the realm of contacts, connections, and communication. Mercury’s change in direction moves you through and beyond discord, uncertainty, and a sense of powerlessness. There is light at the end of this tunnel. 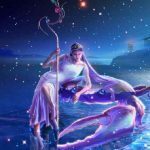 Saturn in your 3rd solar house continues to deliver severe consequences for thoughtless communication, fake news, gossip, or sticking with old, useless beliefs about relationship roles, defensiveness, and conflict. 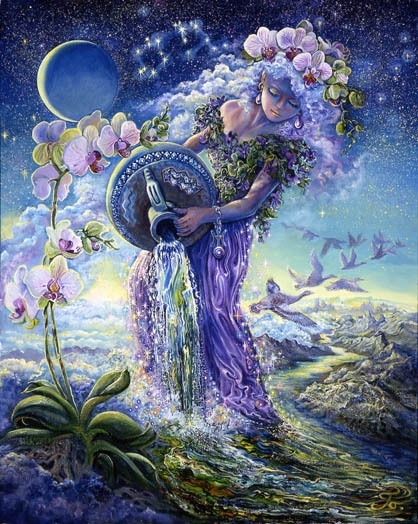 Venus in your 7th house gives you extra power to attract love, cooperation, harmony, and beauty. That kind of momentum continues to build over the next five weeks. You are on the cusp of change. A period of self-discipline, self-sacrifice, and self-improvement – possibly within your work environment – gives way to better health, better friends, a better social life, and more joy – provided you can release a tendency to create conflict. 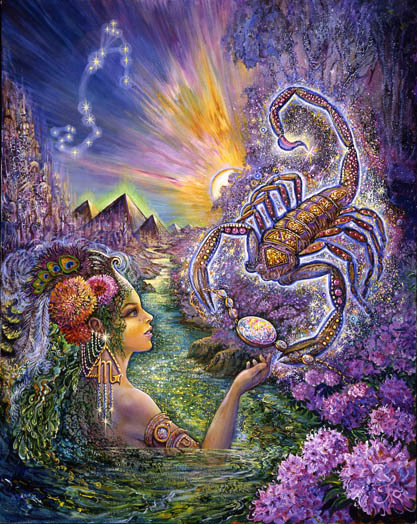 Scorpios may be focused on magic – their own limitless power that now appears to be fortified through mystical realms. There is some dark energy accompanying current challenges. But it may be time to make peace with it – to stop fighting it, being afraid, wishing it wouldn’t exist, and setting up defenses you’re not sure will not keep you safe. It may be time to discipline yourself into recognizing darkness for what it is. Dark energy hates to be exposed. So bring it out into the light. Don’t feed it by attempting to push it further away. Magicians (Scorpios) perform their miracles along side darkness. It feels edgier because it is and it’s unlikely Scorpio would want it any other way. It’s hard to be afraid while embracing your own power. It seems you’ve become more competent and practical in dealing with the dark over the past 18 months. You’ve reached a level of mastery that allows you to move forward with goals involving your profession, home, and family. What needs to be released over the next seven days are the last delusional, dark aspects of a love you fought for and lost. You may be in the process of approaching a new level of professional mastery that renders your current location, home, or living arrangement, somewhat obsolete. Emotionally you’ve changed – a lot over the past 18 months. If all has gone well you’ve released old wounds and risen above previous patterns of abuse and neglect. 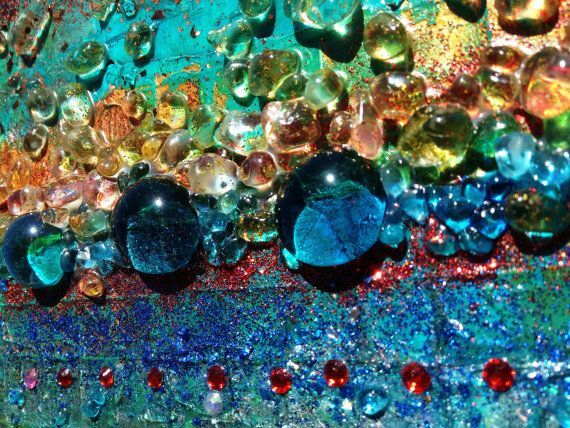 Your home is the visible manifestation of your emotional self. So it may feel outgrown or unfitting in some way. The issue is that you’re now on the cusp of mastering an expansive creative talent that’s been somewhat neglected as other responsibilities devoured your time. Your talent may involve writing, communicating, or the broader realm of making connections and shaping future destinies. You may be seeking information from brilliant minds and those outstanding few who seemed to have completely mastered their craft. A more heart-felt involvement seems to be required. A cold, clinical, scientific, or detached mindset may need to be systematically unraveled. That appears to be the nature of your upcoming challenge. 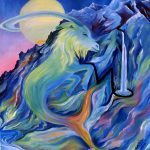 Capricorn may currently be in the process of rethinking professional commitments, tweaking those, expanding them, considering variations, and in general trying to fit their expanded self into an expanded definition of what’s possible. The issue is that over the past 18 months you’ve been challenged to integrate more of yourself into yourself. Personality odds and ends that seemed not to fit were previously left out in the cold. But no longer. You’ve discovered some real gems, brought them in from the cold, warmed them up, and made a home for them. That has opened up a whole new world of future possibilities. You simply have more to work with. Your private repertoire has expanded. You’ve come a long way in mastering a perspective that promotes optimism rather than a sense of defeat. You may be harboring a few useless remnants of an old mindset. Let then go over the next seven days. Momentum is increasing within the realm of home and family. Decisions may need to be made as you move beyond powerlessness and uncertainty. You have great house and career karma for the next five weeks. Investigate possibilities and make some new plans. You can afford to be bolder, more direct, and less filtered within the realm of communication. You have something important to say – something courageous that breaks through old barriers. Not everyone wants to hear it. Maybe hardly anybody wants to hear it. But you can get away with more than usual. People are willing to give you a pass in exchange for the truth. In fact they might love you for it. It seems you’ve mastered or defeated some old psychological conditioning that required you to be nice and polite rather than fully competent in protecting and defending your own sense of self-worth and what’s worthwhile in the world. In fact you may have been somewhat confused about your personal worth. If all has gone well, that’s fast becoming a confusion of the past. Through the force of your words you can leave no doubt that things have changed. You will no longer be neglected, pushed aside, run over, or otherwise, in any way, disrespected. Oddly this may fix any financial problems you’re experiencing. But it may end relationships with those who can’t adjust. 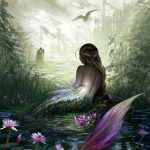 Pisces may be in the process of deciding what to do about old dark energies that continue to interfere with love, children, creativity, and joy. 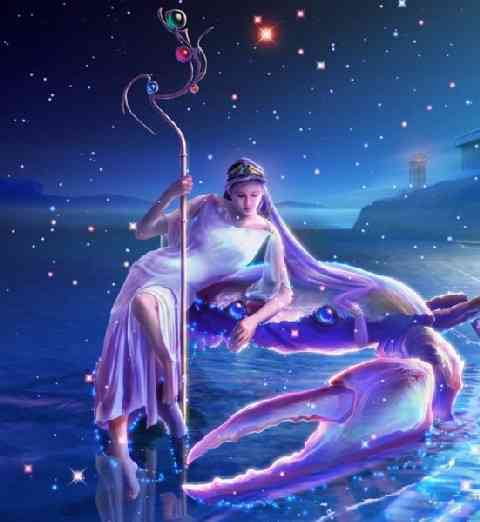 As Mercury turns direct, you may be coming to conclusions that clarify your next move. Your sense of self-worth may be intricately involved. An old belief involving the need to be nice and to avoid conflict may have chronically disadvantaged you and encouraged others to assume that in a relationship with you they could get away with more than was fair. But it seems things have changed. Much of your old psychological programming is being reconsidered and undone. Within the realm of relationships, you have reached a level of mastery that has empowered you to re-establish a sense of balance and fairness. Your relationship with yourself and others has changed, but some have not yet gotten the memo. You may be in the process of enlightening those who remain in the dark. You need to move through and beyond a diminished sense of self-worth through the force of your words.